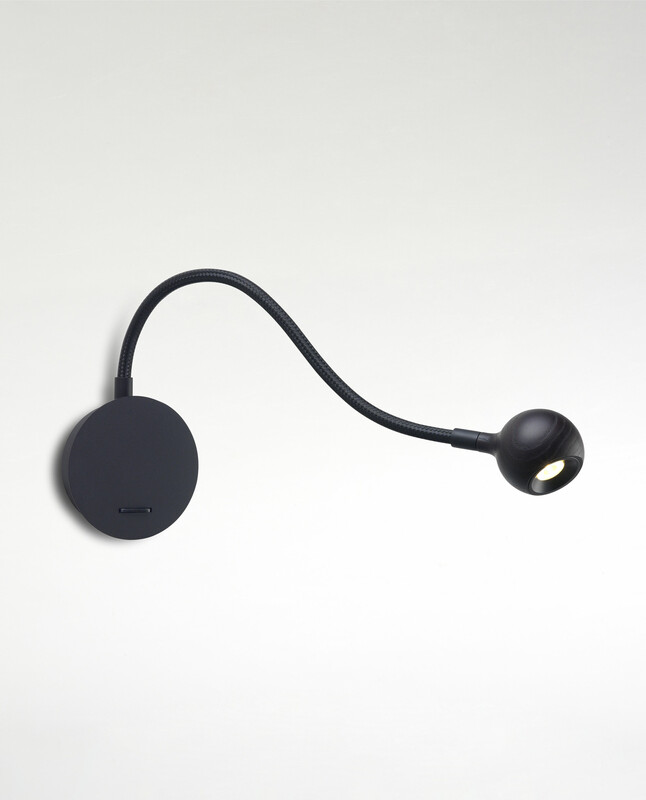 A sensual lamp that seduces the senses of sight and touch. The Nº8 reading lamp fulfils all the necessary criteria for perfect operation: efficient light, easy handling, durability, and beauty. It was designed specifically to respond to each of these requirements, resulting in a “well-rounded” fixture that fulfils its mission perfectly. 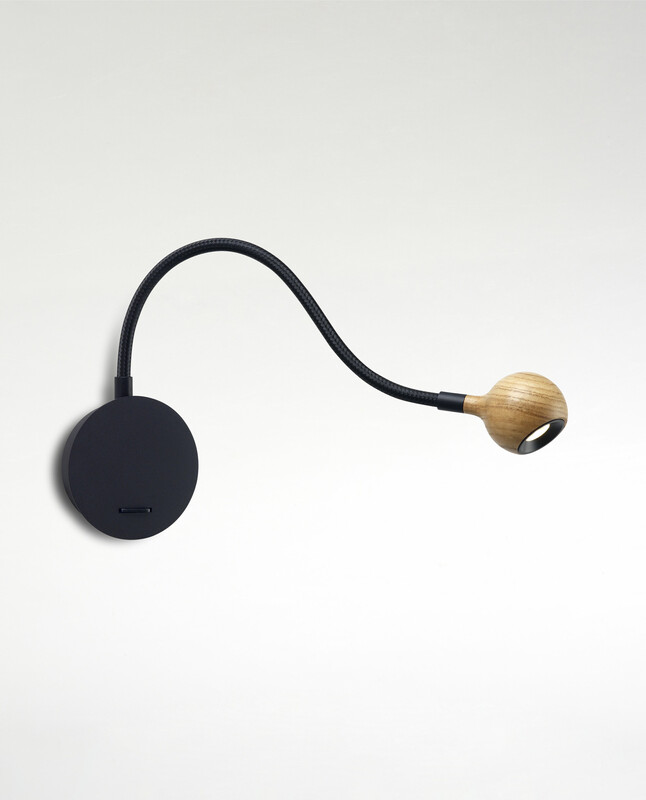 The wooden sphere of the Nº 8’s lampshade is handcrafted to make each lamp unique. Its smooth texture has the quality and feel of a billiard ball, while its flexible arm, covered in braided fabric, is a mainstay that improves its look without sacrificing its efficacy. 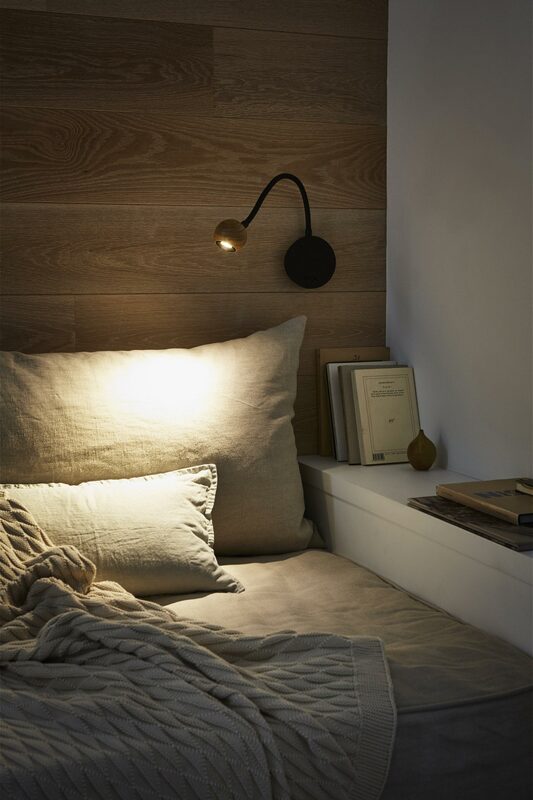 The Nº8 was designed to be placed at the head of a bed and add comfort to the bedroom, a place dedicated to restfulness, where a good book is always healthier than a sleeping pill.